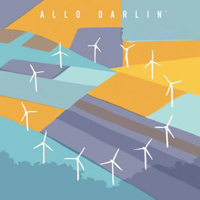 Liner notes: Australian-born Elizabeth Morris celebrates her Queensland roots on Allo Darlin’s captivating second album, presenting a bouquet of silky 12-string guitars, buoyant beats, and wistful harmonies. Behind the music: Morris relocated to London in 2005, bought a uke, and formed a band that took its name from market sellers’ morning greeting. The quartet were soon stars of the twee-pop scene. Check it out if you like: The Go-Betweens, Camera Obscura, and especially iconic Brit-popsters Tender Trap, with whom Morris used to moonlight.